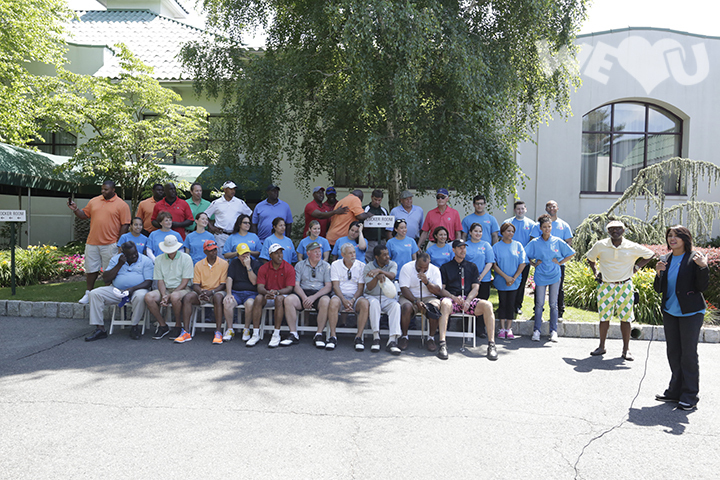 On June 23, 2014, former Jets player Bruce Harper requested the participation of the WeLoveU cheer squad to greet golfers who helped raise funds for Heroes and Cool Kids. A select WeLoveU member sang the national anthem and kicked off the fundraiser while the Vice President made an introductory statement about the foundation’s background and about its founder, Zahng Gil-Jah. Heroes & Cool Kids is a nonprofit organization that began serving New Jersey’s youth from 1998. The program utilizes the services of current and former professional athletes whose personal life experiences enable them to train high school student leaders. Through life skills training and other courses, the program helps youth learn to be good examples in the community. WeLoveU supported professional athletes sponsoring Heroes and Cool Kids in this fundraiser golf tournament. 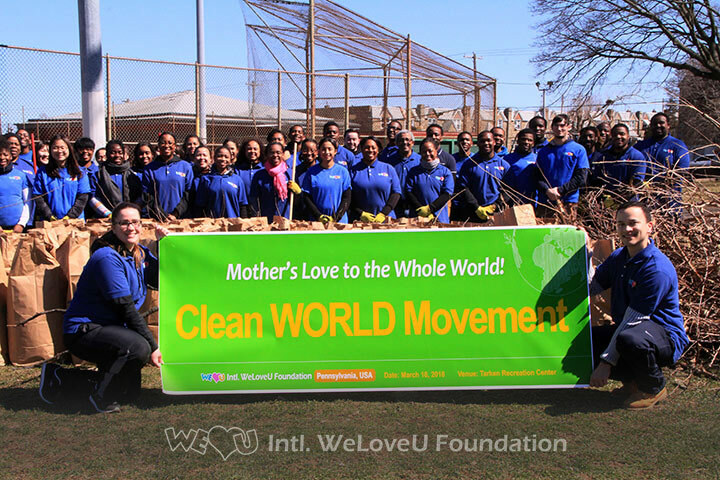 On March 19, 2014, the International WeLoveU Foundation showed its support with a cheering frenzy at the 14th Annual Battle of the Blue basketball tournament to benefit the Tomorrows Children’s Fund. More than 40 vounteers from WeLoveU donated to the cause for children and stayed in the bleachers from 5:00 p.m. to 9:30 p.m. cheering on the players to keep them encouraged. WeLoveU’s presence at the basketball tournament was an unexpected surge of energy to the players and it brought smiles to the spectators as well.This is just one of WeLoveU’s missions: to spread love and joy to all people through welfare activities. Kevin Barett showing his gratitude towards the WeLoveU Founation. 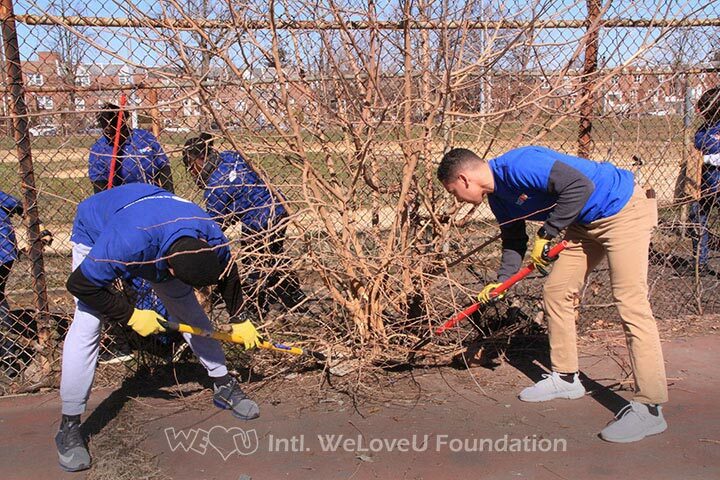 Following the example of the Chairwoman Zahng Gil-jah, the members work with their own hands cleaning up the environment, raise funds for hospitalized children, provide relief and comfort to seniors, and contribute to community needs. 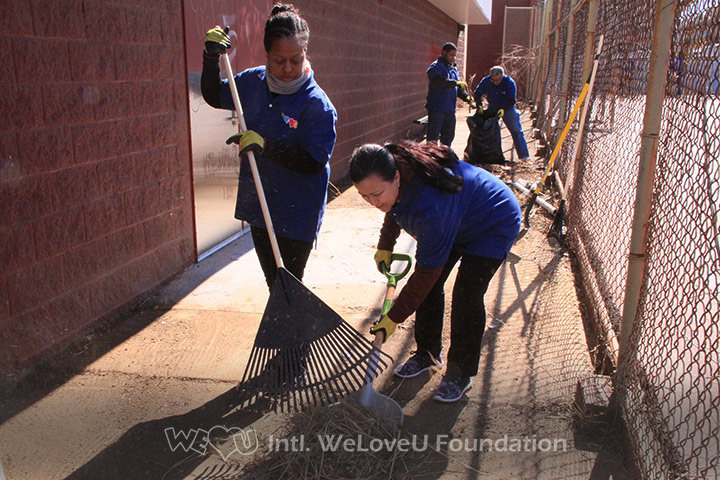 The International WeLoveU Foundation has been established since 2001 and can be found in more than 53 countries. It has won presidential merit awards and accolades from across the globe for its environmental efforts and social welfare activities. 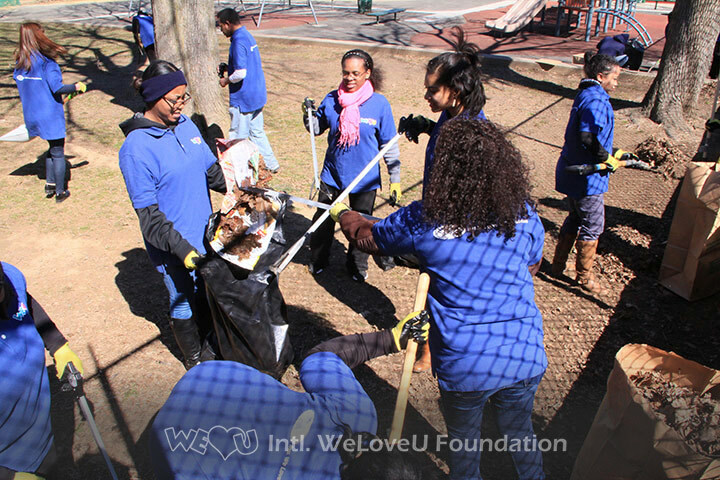 The WeLoveU Foundation will continue its cheering activities to give hope and joy to those in despair as their good neighbor. 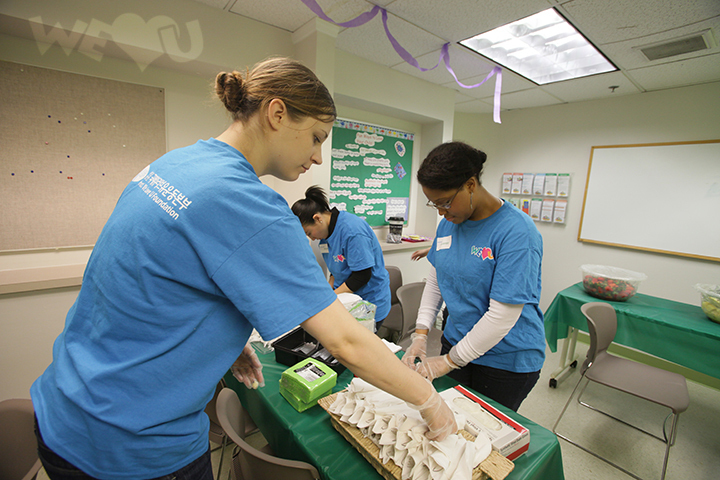 On February 11, 2014, WeLoveU volunteers fundraised for and prepared a special breakfast to share with nursing mothers. They woke at 4:00 AM to prepare chicken fajitas and fresh fruits by hand and drove 2 hours to deliver the love to nursing mothers and their children.The effort was for a special breastfeeding luncheon to discuss the importance of using healthy ingredients for nutritious meals. 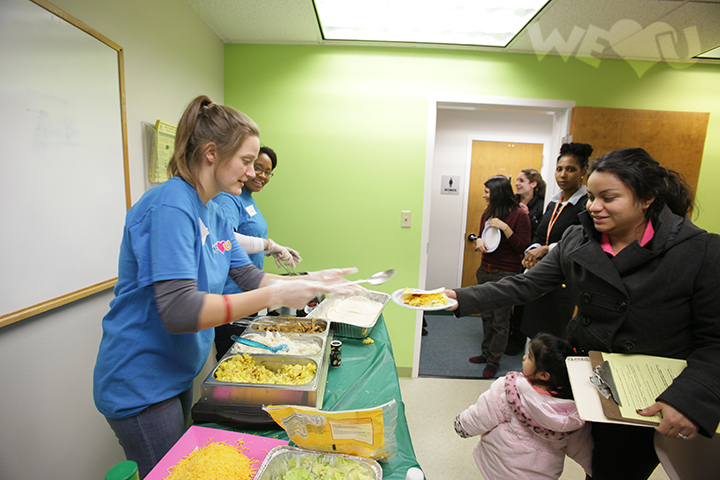 The New Jersey State Women, Infants and Children program provides supplemental nutritious foods to pregnant, breastfeeding and postpartum women, infants and children up to the age of five. The program services also include education, counseling, immunization screening and health care referrals. On January 26, 2014, the Big Game 5K was held at the Garden State Plaza in Paramus New Jersey to arouse interest in the Super Bowl and to help support and raise funds for different charities in the area. Some of the charities included Hero’s and Cool Kids, Boys and Girls Club, Children’s Aid and Family Services, the National Multiple Sclerosis and others. 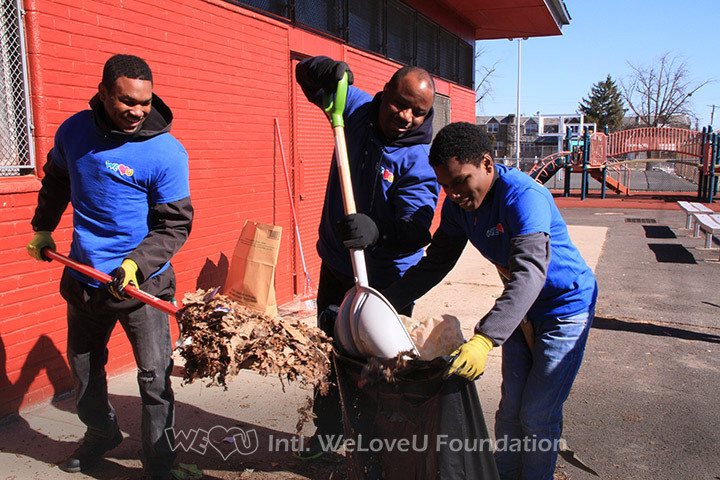 The International WeLoveU Foundation showed it supports not only for the charities but to the runners who made effort to participate. The cheerers stood at both sides of the finish line to lead the runners home with cheers and encouraging chants. The volunteers developed lasting relationships with the charities and continued to help the community through the effort.